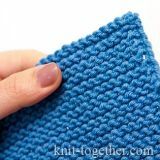 Knit Together | Crochet Square Motif #6. 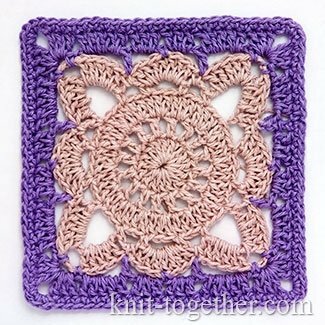 Beautiful pattern with photo, description and crochet chart. 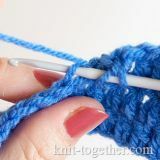 This beautiful square motif which don't difficult to do. 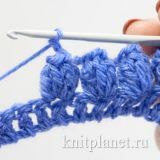 Pattern is enough big and you can use it for crochet: blankets, interior items and clothes. 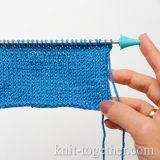 The size of the swatch, which is made of the cotton yarn, thick 50 g / 200 m and hook #2 - 11 x 11 cm. This square pattern looks nice in two colors. 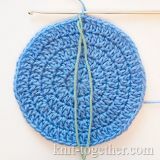 Start crocheting from the centre. 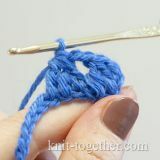 Make the initial ring of 5 chain stitches or sliding loop. 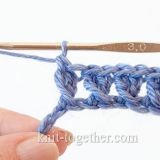 8 round: single crochet in each stitch of previous row, join with slip stitch.